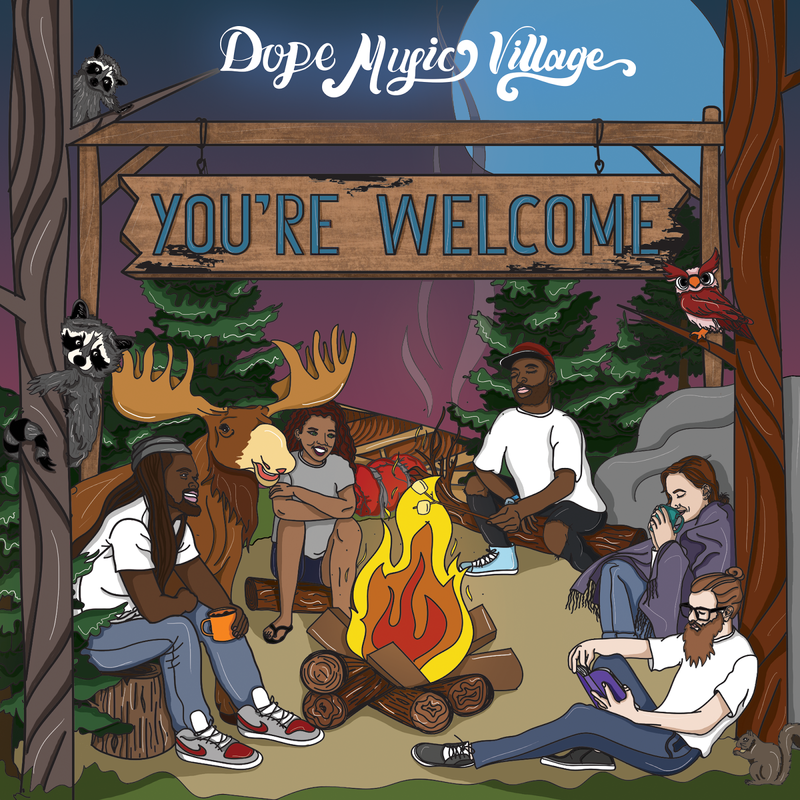 The collective that is the Dope Music Village has been steadily making waves with a string of strong releases and opening performances for the likes of Curren$y, Wale, Jay Rock, and countless others. Today they are ready to take things to yet another level with the release of the joint compilation "You're Welcome". Not only does it come equipped with some of the better artwork you will ever see, but Nature Boi, Brain Rapp and Ezko hold down the bulk of the album with quality rhymes. Creating for an even more cohesive vibe, Nature Boi also holds down the production by himself. Stream the 8-track project now and join the Village before it's too late.